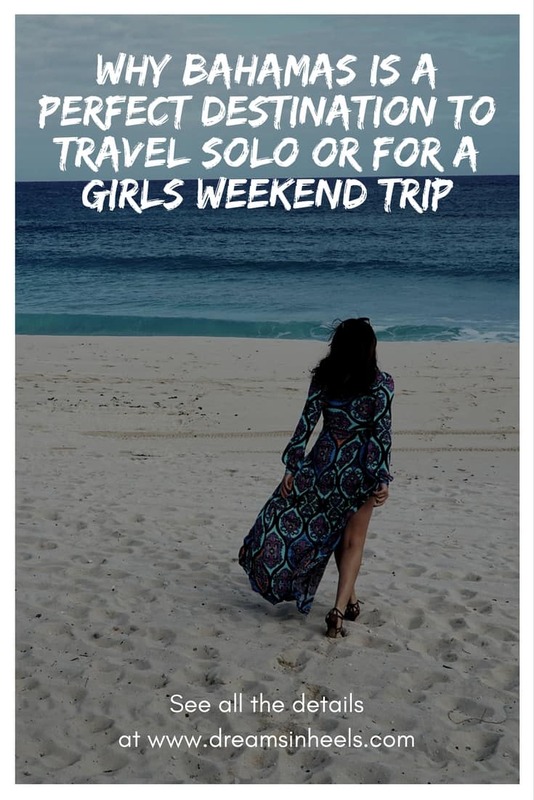 You could be sharing cocktails in an infinity pool, watching the sunrise from a suite balcony, going bar hopping/dancing with VIP treatment and much more with this quick girls weekend trip or solo female travel getaway to the Bahamas! This guide is designed for you and/or your best friends to unwind, catch up and celebrate your friendship while basking in the sun on this magical island. 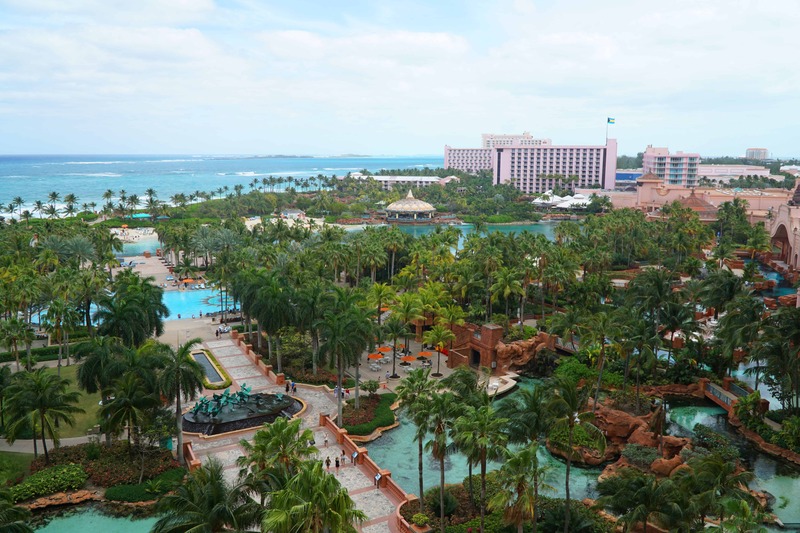 Read on to find more on what it is like to stay in Paradise Island (The Cove Atlantis Resort Review). Day 1: Watch the sunrise from your balcony. Every girl loves a sunrise. It is the best feeling waking up refreshed to enjoy the most beautiful sunrise with an amazing view of the ocean. And there’s nothing better than staying in one of the suites of The Cove Atlantis! This 600-room resort within the exciting world of Atlantis, Paradise Island, raises the bar among distinctive resort destinations. Perched on a peninsula above two of the most magnificent beaches in the world, The Cove features oversized rooms with spectacular designs by acclaimed interior architects, Jeffrey Beers and David Rockwell, unlimited services and amenities. VIP treatment with opportunities for water play. 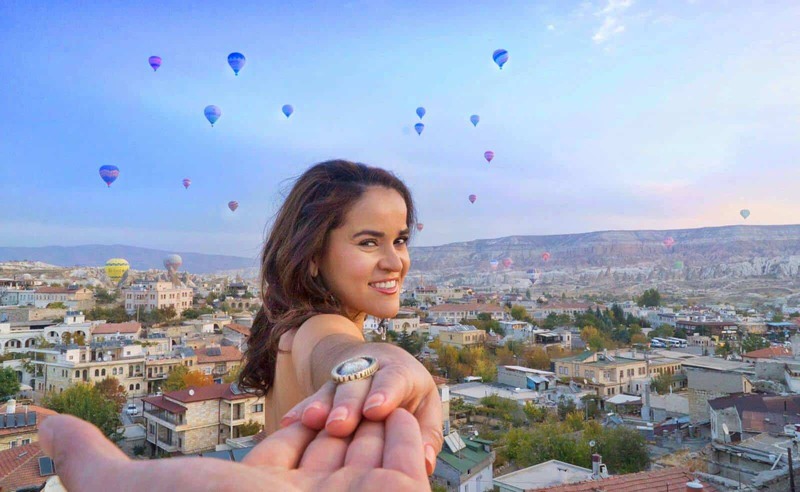 Every girl wants to feel like a VIP on her fun weekend getaway. Start by renting a private, adult-only lavish cabana (with an ultra pool) at Cain, positioned overlooking Cove and Paradise Beaches with the best views and tastiest cocktails. You can have access to your cabana from 10:00 AM- 5:30 PM and your waitress will treat you like a queen! While you’re sipping on cocktails, popping bottles, and ordering appetizers, make sure to enjoy the amazing pool, sunbathe, dance to the DJ music or simply relax. Hint: You can get a wristband at The Cove Atlantis elevator bank and that gets you free access to go to the Aquaventure water park too. This non-stop water experience, includes thrilling water slides, 13 pools, a life-size replica of a Mayan Temple, a 7-acre snorkeling lagoon, a lazy river and never-before-seen special effects that add an extreme level of excitement to the overall experience. Up for another challenge? There is free zorbing close to the Cain when you walk towards the sea. Prepare for a few minutes of bumping and bouncing around the clear crystal seawaters. It is a very unique experience. 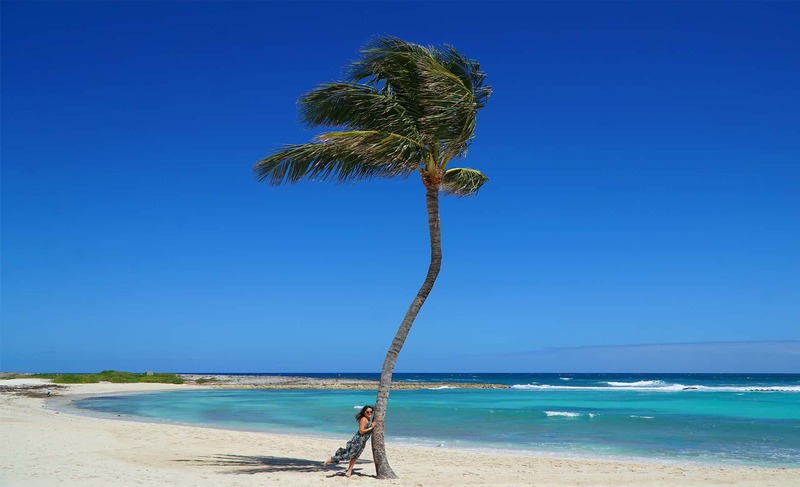 Don’t forget to take a selfie, or group photo with your girlfriends, at the most photographed coconut palm tree in The Bahamas (it is right next to the cabanas). Hope that you worked up an appetite. At Olives Atlantis, there’s a signature open kitchen offering a warm, casual dining experience, featuring world-renowned chef Todd English’s signature interpretive Mediterranean cuisine, as well as a variety of coastal dishes, prepared using high-quality, seasonal, and fresh ingredients, along with great wine selection. Cheers! Looking for a magical night? Discover the Magic of Rob Lake. 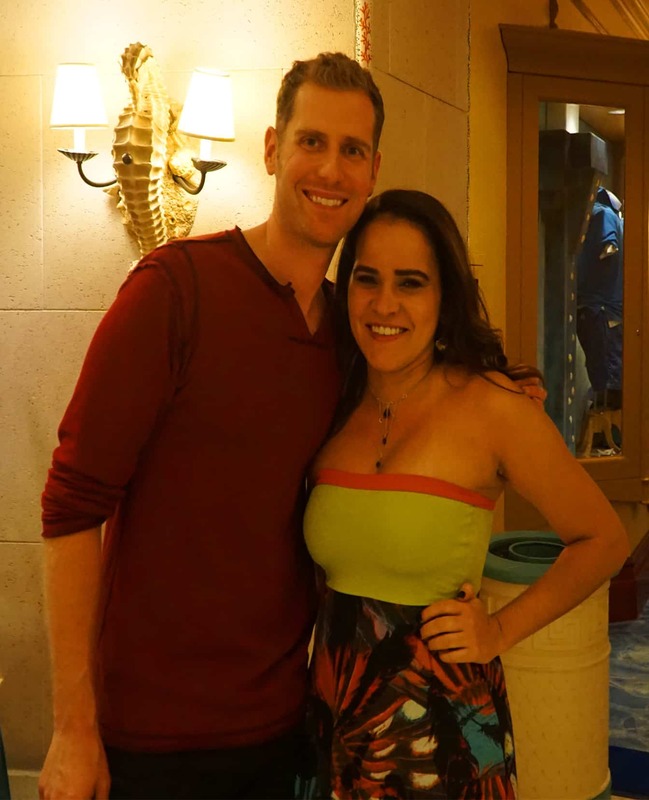 He is one of the world’s best illusionists with shows at the Atlantis Theatre. You will be amazed! Dreams in Heels recommends Aura nightclub at The Atlantis as one of the best nightclubs. 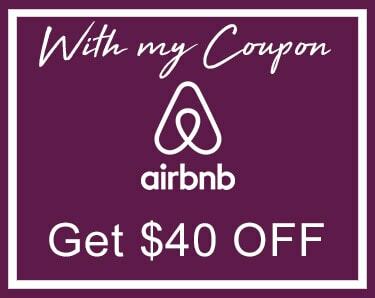 It is the perfect spot for a group of ladies enjoying a girls weekend or a solo female travel girl looking to soak up some local color! You can even arrange a booth or an area in the club for the night. Dance to great music and the club is beautiful, safe and clean. The staff is very hospitable, and it is a perfect place in Atlantis (no kids allowed). For a great night, this is the place to be!! Or if you prefer low key options, visit the casino area at the Atlantis. There are several bars inside or you can also hang out in the lobby of The Cove (their Seaglass lounge is a very cozy place with a great drink menu selection and snacks). Day 2: Enjoy the marine life. Make a new friend by visiting the largest marine animal medical facility in the Caribbean. The playful sea lions are captivating marine animals that like to have fun. Observe their speed, agility and even check out their dance moves. Don’t miss the behind-the-scenes tour where you’ll see how they feed and care for the sea lions and dolphins. You can also visit the largest open-air marine habitat in the world, with over 50,000 marine animals, including The Dig – a maze of underwater corridors and passageways providing a journey through ancient Atlantis. Hint: While you walk around Atlantis, there’s another spot for a great selfie, the iconic bridge suite that connects the two wings of the Royal Towers under the fabulous sky. Considering a stay there…sure. It’s yours for $25,000 a night! Check out the award-winning Mandara Spa at Atlantis, which combines ancient Balinese healing touches, traditional European spa therapies and natural elements indigenous to the Bahamas to provide the most unique treatments and the ultimate rejuvenating experiences. Taking of the Waters offers warm and cold plunge pools as well as women private steam, lounge and sauna rooms. The spa is a 30,000-square-foot facility with 32 private treatment rooms, a unisex relaxation lounge, a retail area, a salon and an aromatherapy room located in the women’s locker room. It is a divine sanctuary that provides an escape from the limits of time. Life-altering massages, rejuvenating facials, soothing wraps and exotic scrubs headline the roster of tried and true therapies. A must try is the Elemis Aroma Spa Seaweeed Massage. This treatment combines the richness of sea plants and marine algae with aromatherapy. This deeply detoxifying massage removes dead skin, remineralizes the body, and helps you tone and firm. A warm seaweed body mask containing a synergy of cleansing essential oils is also applied to your body before you are cocooned in a comforting wrap. Let your thoughts drift away and relax with a scalp and foot massage while the active ingredients work to stimulate your body systems. The best part is that a 25-minute back massage is included or you can upgrade to a 50-minute, full-body massage. It is super invigorating! Afterwards, relax by the steam room, sauna or plunge pool. If this is not for you, there are plenty of stores around Atlantis, just go shopping and do some retail therapy. You should try Atlantis’ newest fine dining restaurant, 77° West which fuses South American cuisine with a taste of the Caribbean. Tempting starters like Chicken & Chorizo Empanadas and Tuna Ceviche, compliment sumptuous dishes such as pan-seared filet mignon and island-grilled Mahi Mahi. Polish off your meal with some Dulce de leche Cheesecake or Coconut Flauta. You won’t regret it! Insight: Most restaurants don’t have wifi “forcing ” you to connect with your girlfriends and to engage in much needed conversation. We all need that quality time! So put your phone away. Day 3: Breakfast – last meal before you head home. Try the Mosaic at the Cover for a great American style buffet or try Atlantis’ newest buffet dining restaurant, Poseidon’s Table, which offers a bountiful breakfast buffet with an array of morning favorites. Over all, Paradise Island at Atlantis offers many activities to have the most fun, relaxing and quality time weekend with your girlfriends or take a rejuvenating solo trip. After all, that’s what life is all about – creating wonderful memories for yourself and/or the people you love! Safe travels. It’s my DREAM to visit the Bahamas but it’s just so expensive! But you reminded me I have to save up and go! You can find good deals to go to Bahamas. You just need to research and book in advance. 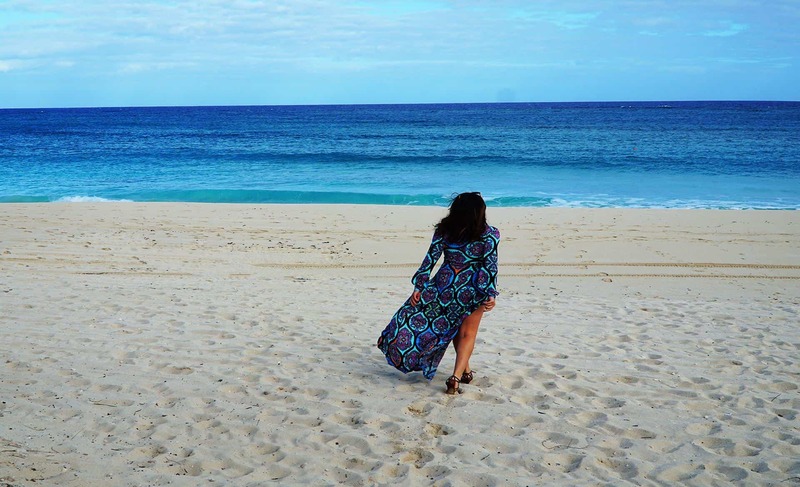 Really great tips on visiting the Bahamas, thanks for sharing! Love how few restaurants have WiFi, sounds like it would really force you to disconnect and relax! I found your blog while searching for tips to plan my next vacation. I appreciate your article. Thanks for sharing all these important information. Bahamas looks so cool. I cannot wait to visit.